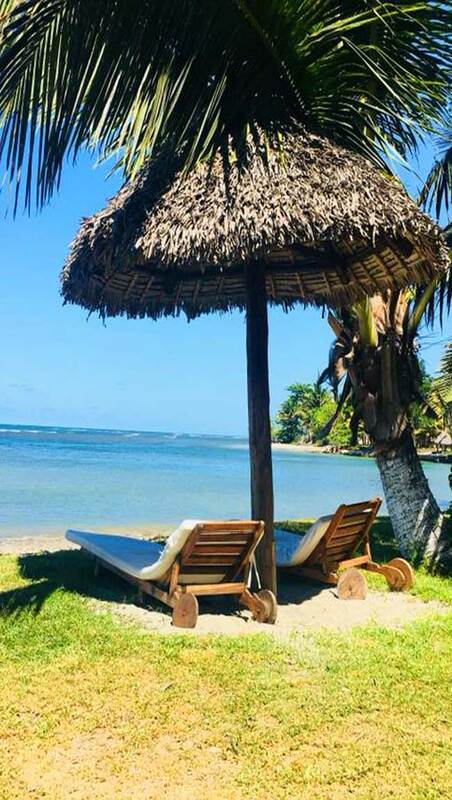 Hotel mythical Lodge Madagascar on the East Coast, La Pirogue offers authentic and comfortable bungalows nestled Malagasy in the heart of the vast coconut grove 3,5 hectares bordering the white sand beach. A deliciously relaxed atmosphere as well as the generosity and attention of its staff have made the reputation of this hotel warm and friendly lodge incomparable charm. 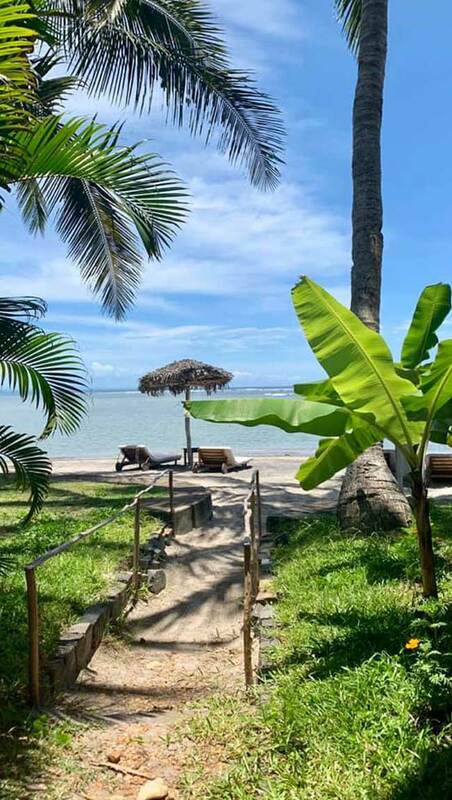 Rooms and bungalows are scattered in the heart of a beautiful and lush tropical garden, edge of a wonderful crystalline lagoon protected by a massive coral. 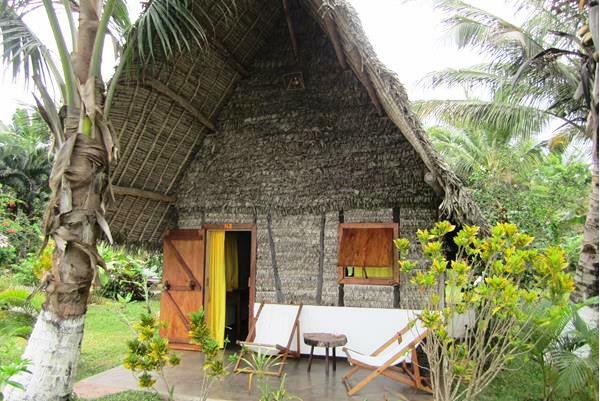 The restaurant Le canoe consists of a large room with bamboo (home Shop) beautifully decorated craft and Malagasy Minerals, and straw huts overlooking the beach and the ocean. 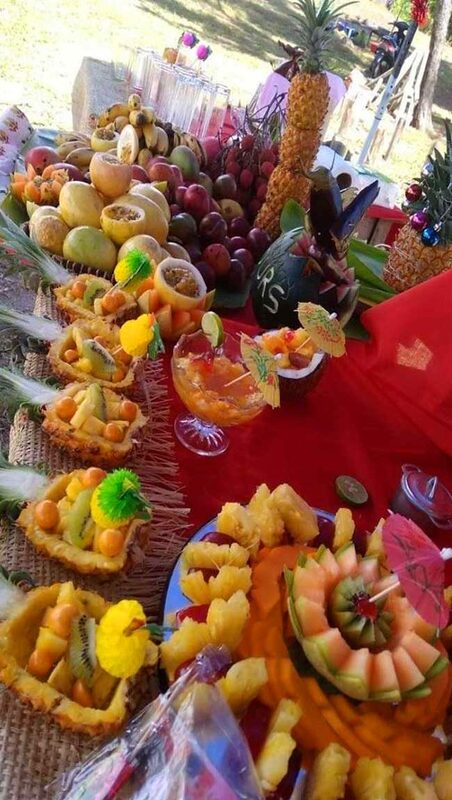 Priority is given to the quality, and the table of La Pirogue is already known. 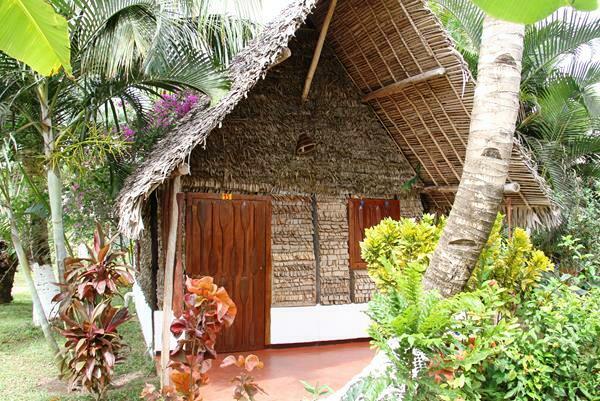 You can enjoy a fusion cuisine of local flavors and French gastronomy,fish specialties and seafood. 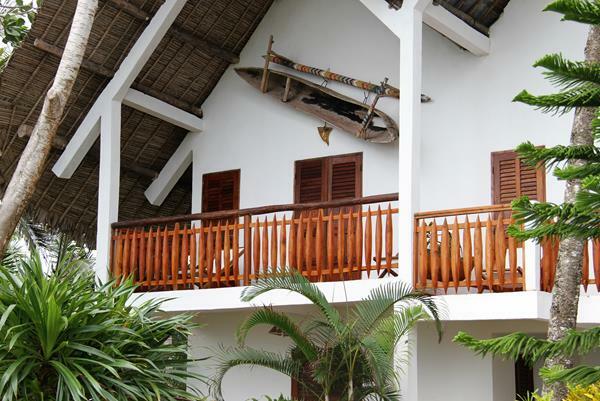 Le Bambou Bar is friendly, offering authentic and relaxed atmosphere, in a tropical setting overlooking the lagoon. A great meeting point to enjoy good drinks, a wide selection of rums house arranged, punchs, spirits brands and other. 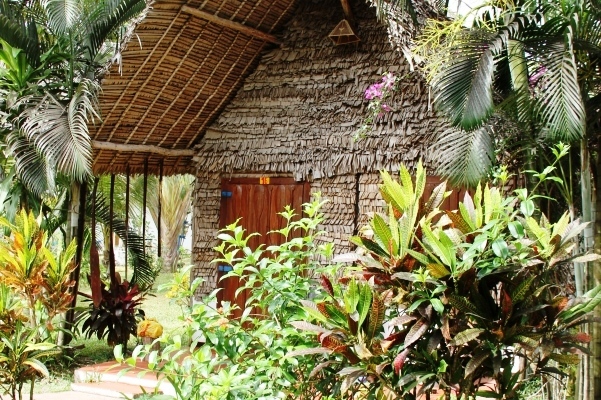 Come and enjoy the unique and exceptional charm of the Hotel La Pirogue Mahambo. 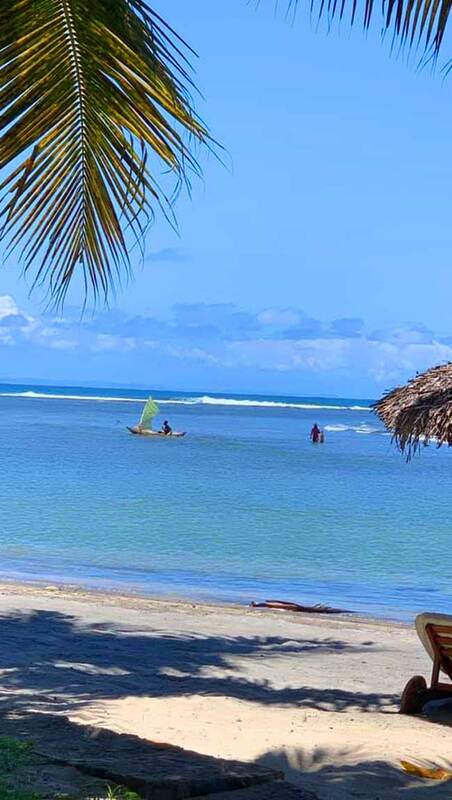 It is a boutique hotel and lodge character, with a unique location on the east coast of Madagascar at a time of Tamatave, twenty minutes from the golf Foulpointe and quarter past one of Sonierana Ivongo, the port of embarkation for the island of Sainte-Marie.